A Guardian report by Harriet Sherwood on Aug. 14th, 2014 (‘Gaza counts the cost of war: Whole families smashed under the rubble’) began by noting that “at least 59 Palestinian families suffered multiple casualties over four weeks of Israeli bombardment in Gaza”. Among the casualties putatively caused by Israeli bombs were nearly a dozen members of the Siyyam family (alternatively spelled Siyam or Siam). Nabil Siyyam, 33, wept as he recalled the morning he lost his wife and four children, along with his left arm. A fifth child was in a critical condition in an Egyptian hospital. Nabil pulled up his shirt to reveal shrapnel wounds over his torso. At 6am, there were several air strikes near the house, and the family decided to leave, fearing their home was at risk. Grandparents Mahrous and Dalal quickly rounded up the extended family and herded them into the road. Two drone missiles hit the group, killing 11 and injuring nine. From a deep pocket in his robe, Mahrous pulled a handwritten list of the names, birth dates and identity numbers of those killed. At 67, he and Dalal have become substitute parents for baby Mayar, who was in a cast from her armpits to her toes and had lost her mother, father and siblings. From a deep pocket in his robe, Mahrous pulled a handwritten list of the names, birth dates and identity numbers of those killed. At 67, he and Dalal have become substitute parents for baby Mayar, who was in a cast from her armpits to her toes and had lost her mother, father and siblings. Elsewhere in Gaza, he said, Israeli tanks opened fire on the home of the Siyam family west of Rafah in the southern part of the strip, killing 10 people, including four young children and a 9-month-old baby girl. Such evocative stories suggesting that Israel recklessly (or even intentionally) launched attacks on civilian targets with no military value were ubiquitous within the UK media. However, with regard to this specific incident, the Guardian seems to have gotten it completely wrong. According to a subsequent investigation by the IDF Military Attorney General which was recently published, the family was not killed by an IDF aerial attack. An Aug. 24th, 2016 report by the Guardian did highlight the MAG’s investigation as it relates to the Siyyam. The Telegraph did the same. 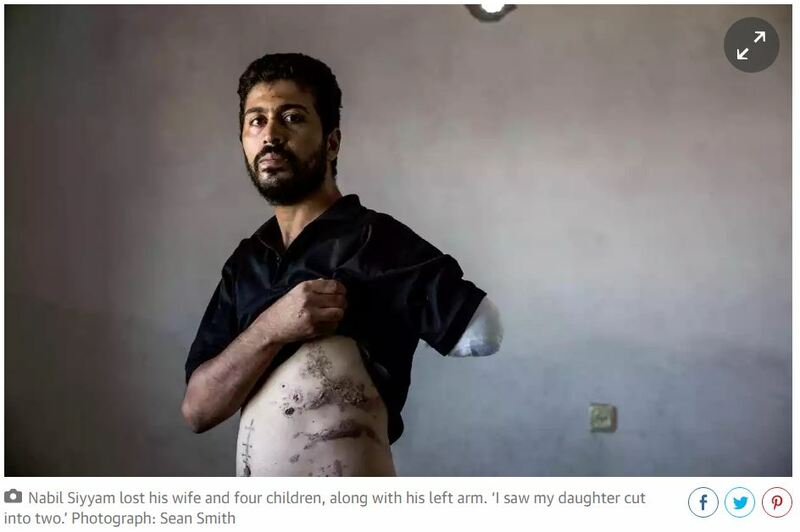 However, both the Guardian and the Telegraph failed to note that their previous 2014 reports claimed – as if it was an uncontroversial fact – that Israel was responsible for the attack on the family. Additionally, those original articles have not been amended to reflect this new information suggesting that an errant Hamas rocket was to blame for the tragedy. We’ve contacted Guardian and Telegraph editors to ask the their initial articles be amended accordingly. When it comes to Israel these insufferably intolerant rags make sweeping assumptions of incontrovertible and self evident guilt. So it was a Palestinian weapon. Will Harriet ask Hamas to open a criminal investigation into the perpetrators? Will Harriet be investigated for being a sad excuse for a human being? Be fair – she has to earn a living as a Guardian reporter. – Why? What’s wrong with cleaning toilets, which is more in line with her skills? – Who says she is a reporter? If Harriet Sherwood tells you her name is Harriet Sherwood, insist on a second verifiable source.